Nearly on 59 million hits, and Miley Cyrus is viral again. Well, another spoof about her at least. And just when you thought the tongue wagging and hammer snogging was done and finished, Steve Kardynal re-enacts the Wrecking Ball video in his living room, live on Chatroulette. If his performance a�� hairy legs, chest and arms and all, didna��t have you laughing then maybe the reaction from those on the chat forum might. From baffled, tickled, amused and enthusiastic, the emotions captured will make truly your day! JFK fans can now let Lee Harvey Oswald off. AA�new viral site (TheBentBullet.com) promoting the upcomingA�X-Men: Days of Future PastA�explores President John F Kennedya��s assassination a�� with an unfamiliar twist. It hints at Magneto (played by Michael Fassbender), using his powers on Oswalda��s wild shots to ensure the presidenta��s death. Magneto denies this accusation and blame shifts to Mystique (Jennifer Lawrence) who perhaps disguised herself as Oswald to shoot JFK. The film is set to release on May 23, 2014. Hot on the heels of their phenomenal compilation of Daft Punk songs, a capella sensation Pentatonix has now covered the song Crusina�� For A Brusina�� for the Disney film Teen Beach Movie. The performance has racked up over a million hits in less than a week and it is no wonder that they got the attention of Disney. The crew of five has now officially been asked to cover the song which is originally by Ross Lynch. 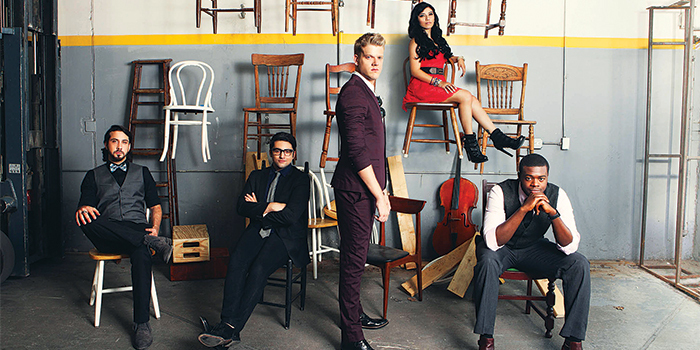 Watch their videos, that cover genres like rap, dubstep, pop, electro, hip-hop on PTXOfficial on YouTube.